The name of this neighborhood recognizes the high concentration of French merchants in the areas history. It is bounded by Cooper River on the east, Broad Street on the south, Meeting Street on the west & Market Street on the north. Featuring property that comprised much of the walled city dating back to 1704, the French Quarter is graced with theaters, historic churches & centuries-old graveyards. 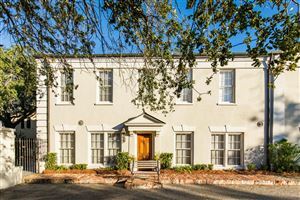 It is famous for its art galleries & home to many historic buildings; it also has many restaurants & retail shops, as well as Charleston’s award-winning Waterfront Park. 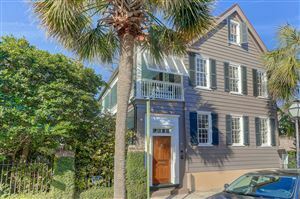 This neighborhood is home to many of Charleston’s firsts. The Dock Street Theater on Church Street was the first building designed solely for theatrical performances in America and is still in operation today. 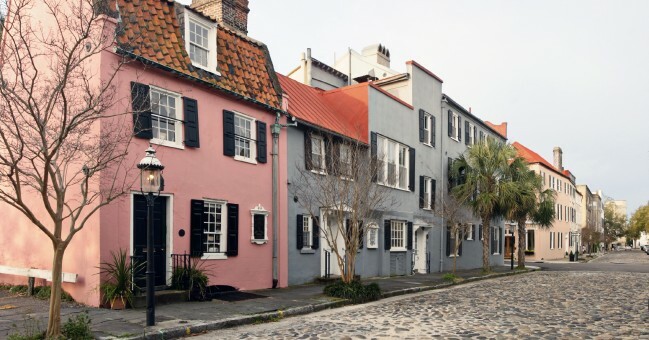 Chalmers Street is the city’s longest cobbled road and The Pink House at 1700 Chalmers, built around 1690, is the oldest stone house in Charleston. While homes are less available in this area, condos abound – from homes converted into apartments to new luxury living near the water. 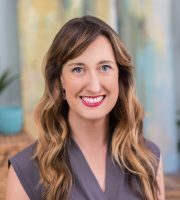 Homes range from $600,000 to $2,000,000+ and condos from $200,000 to $3,000,000. 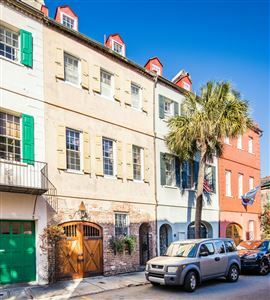 This neighborhood is home to the French Quarter Art Walk held seasonably the first Friday of March, May, October and December. Enjoy an evening of gallery hopping & wine tasting along the storied streets. Established in 1680, St. Philips Church is the oldest Anglican congregation south of Virginia. The graveyards next to and across the street from the church are filled with a rich history. 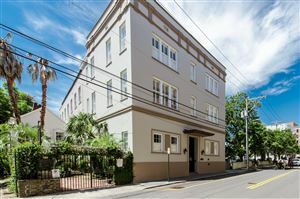 See all The French Quarter Properties For Sale.